Cuckoo Rice Cookers are famous all around the world and for good reason. They are the “cream of the crop” when it comes to making the perfect rice every time! This Korean Company has been making rice cookers for over forty years and continue to get rave reviews even though the product is a bit pricey. 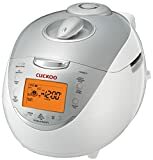 What ever model of Cuckoo Rice Cooker you choose to use, you will get perfect rice every time you use the unit. You can get a cooker that does from 3 cups of uncooked rice to cookers that will do 10 cups of uncooked rice. This company has a product for everyone and for everyone’s needs. The voice guide onhese cookers are in three languages, Korean, English, and Chinese. Let’s look at 6 different models and see if you can find one that will be right for you and your family. We will look at the features, pros and cons of each model. If Cuckoo is not for you then click here to learn about other brands of rice cookers. 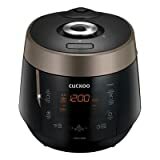 The first model we will look at is the Cuckoo Electric Induction Heating Pressure Rice Cooker and it is silver in color. It may seem a little pricey, but you should never have to buy another one for a very long time. This Unit is well suited for a large family as it will yield 5.3 quarts of perfect rice at one time. 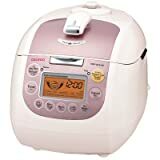 Okay, ladies, you now can get a rice cooker with a PINK cover, who would have thought!!!!! Not only is it pink, it can cook 3.2 quarts of lovely rice every time you use it. The inner pot has a non-stick coating so clean up will be easy for you. You have a slow cooking function as well as a turbo cooking function and 6 cooking selections. You will be most happy with this one simply because it is so easy to clean up. It uses induction heating so the inner pot is surrounded by heat at all times making the cooking process faster. You will be able to yield 3.2 quarts of perfect rice in a short time. This is actually a pressure cooker rice cooker. Cooks brown rice to perfection also. 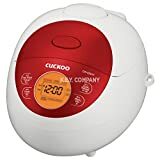 This Cuckoo model is also a programmable pressure cooker. 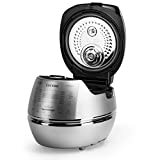 It has a stainless steel detachable inner lid so clean up is a breeze. You will prepare 3.2 quarts of perfect rice in this device. It is black in color and takes up little counter space in the kitchen. It operates with intelligent cooking algorithm. I would probably buy this one just because I love the red color! This is a smaller unit and would be just great for a single person or even your college age student to use in the dorm. It is also an easy to clean model because the inner pot has a non-stick coating. It has everything you need to get started except the rice. This rice cooker is best suited for a family as it will yield 5.3 cups of fluffy, cooked rice. It makes plenty for one meal and you will have some left for another meal. The lid detaches for quick clean up as does the x-wall diamond coated inner pot. 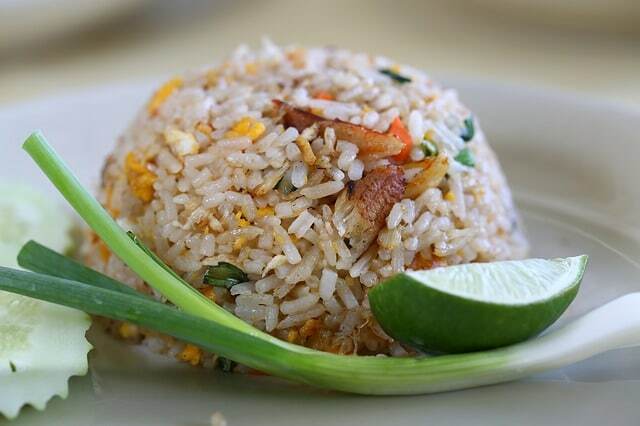 The rice is cooked under pressure so it is cooked equally on all sides of the inner pot for quick, easy, and perfect rice. You Will Need Help Reading The Instruction As They Are In Korean. 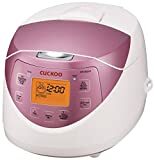 The Cuckoo Rice Cooker is a quality product and comes in many models that fit the requirements of any family. You will be able to cook the perfect rice, every time and clean up is easy. Hope this review has helped you make up your mind to purchase one of these beauties, you will be happy with it, I’m sure.